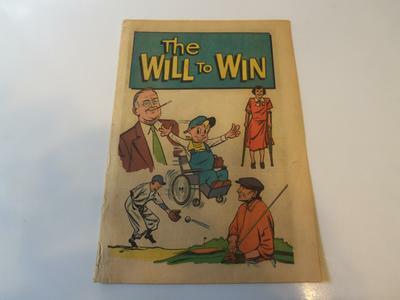 Goodwill Industries "The Will To Win"
I have a copy of "The Will To Win" a Goodwill Industries comic book from the 1950's. The pages are yellowed but it has no damage, I was wondering what value it has. Editor's reply: We scoured our sources for this book with no result at all! If anybody knows more about this comic, then please get in touch.